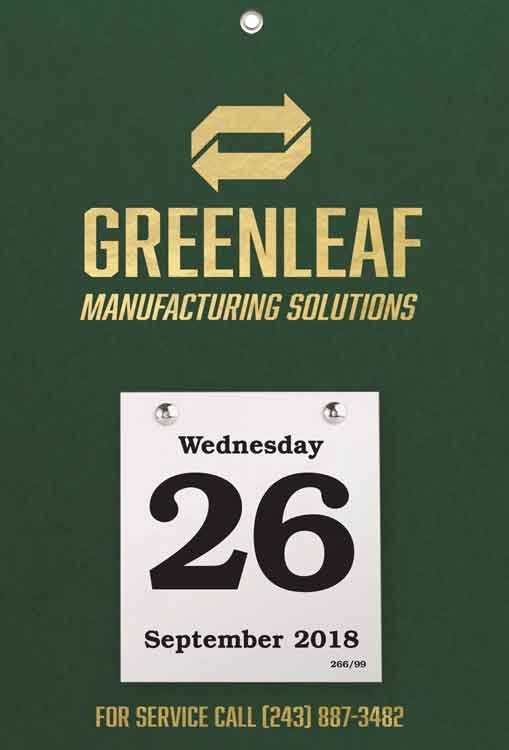 GET MAXIMUM EXPOSURE WITH COST EFFECTIVE REFILLABLE DAILY DATE CALENDARS! Foil stamped Daily Date Calendar, 8 3/8" x 12 3/8". Choose from 7 backboard colors. 4 1/4" x 4 3/4" datepad begins mid-December for early distribution. Includes one color foil hot-stamp imprint at top, larger imprint is available, see options. Metal hardware for low-cost refills in subsequent years. Smooth finish paper with hardbound book cover-like construction with wrapped edges. Silver metal eyelet for hanging. Also available with small and large size datepad, see other styles. Self-Adhesive Easel available for desktop use, see options. NOTE - Calendar backs are made and printed in the USA, date pads are manufactured in Malaysia. IMPRINT: 1 color foil-stamped imprint is included on the top front in a 7 7/8"w x 5 5/16"h area. See options for additional foil stamping colors and areas. BACKBOARD COLORS: Grey, Desert Haze, Natural White, Green, Blue, Dark Red or Black. PLATE CHARGES: $54.00 (G) for standard imprint area.